BMW driver says blower motor and PCV valve heater recalls are useless without replacement parts. January 7, 2019 — A BMW fire class-action lawsuit includes all consumers whose vehicles were included in blower motor or positive crankcase ventilation (PCV) valve heater recalls but who have not received repairs and/or been provided rental or loaner vehicles. The two recalls were issued in 2017 and include more than 1.4 million BMW vehicles at risk of catching fire. According to the lawsuit, BMW issued the fire-related recalls and then told customers there weren't enough parts to complete the recalls. In addition, the plaintiff claims the automaker promised to provide rental or loaner vehicles to BMW owners but allegedly backed out of that promise. The class-action lawsuit alleges BMW has experienced so many recalls lately that dealerships have been unable to get remedy parts in a timely manner. With the threat of fires, BMW drivers have allegedly been told their vehicles weren't included in the PCV heater or blower motor recalls even though the vehicles were positively listed in the recalls. Plaintiff Wendy Vasquez owns a 2007 BMW 328i that allegedly lost power and brakes in October 2017. The lights allegedly started flashing and the electrical system went out completely before the vehicle began to smoke and catch fire. According to the plaintiff, her vehicle was included in a recall of about 673,000 BMW vehicles with blower regulator wiring harnesses that could degrade, short-circuit and cause fires. Additionally, she says her vehicle was included in another recall of about 740,000 vehicles with problems caused by PCV heaters that smoldered and caused fires. 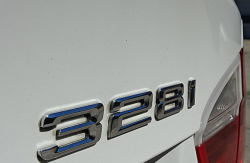 In November 2017, the plaintiff says she received a recall notice for the PCV valve heater problem and although BMW admitted the problem was serious, the plaintiff claims she was told the vehicle couldn't be repaired yet. However, Vasquez says she was informed BMW would provide a free loaner vehicle while repairs were being completed. The recall notice allegedly said, “Remedy Unavailable,” and the text warned her that if she saw smoke in the area near the engine compartment or smelled smoke or a plastic burning odor, those could be signs of the defect. The notice warned her to park the vehicle if those symptoms occurred and when parts are available, a dealer will install a new PCV valve heater. She was informed the job takes about three hours and alternate transportation will be available while the "repair is taking place." According to the plaintiff, BMW sent another recall notice in November 2017 about the blower motor wiring harness, but again she was told no remedy was available. "The recall involves the wiring for the blower-motor which controls air flow for the hearing and air conditioning system. Over time, the connection between the wiring and the blower motor could deteriorate. This could lead to overheating and could further lead to a short circuit or melting at the connection. If this occurs, it could lead to a fire." Q. I am nervous about continuing to drive my vehicle. Can I get a loaner vehicle? Is alternate transportation available? A. If you request a loaner vehicle and replacement parts are not available, we have directed our authorized BMW centers to assist customers with alternate transportation needs. The plaintiff claims BMW should give her a free loaner vehicle since hers caught on fire, so she sent an email to an attorney for the BMW dealer where the vehicle was awaiting replacement parts. According to the lawsuit, Vasquez told the attorney she was "entitled to a replacement vehicle while her vehicle was being repaired." The plaintiff says the attorney for the dealership threatened to have the vehicle auctioned off, so the vehicle was moved to a different BMW dealership. While the vehicle was waiting for repairs, the dealer initially provided the plaintiff a rental car as a complimentary service, but the dealer eventually told her the vehicle was "not subject to repairs under the Blower Wiring Harness Recall and the PCV Heater Recall." In addition, the dealer would not provide the loaner vehicle after December 18, 2017. The vehicle was allegedly towed back to the plaintiff's home on January 2, 2018, but the plaintiff says she couldn't even open the doors due to the electrical failures and fire. The BMW fire class-action lawsuit was filed in the U.S. District Court for the District of New Jersey - Wendy Vasquez, et al., v. BMW of North America, LLC. The plaintiff is represented by the Law Office of Roosevelt N. Nesmith LLC, Giskan Solotaroff & Anderson LLP, and Z Law, LLC.